- Browse for the stock firmwares available online, for your phone and for any other Samsung model. - View firmware's details, and redirect to the SamMobile.com website for the download link. ★ 'CSC Changer': Allow you to change the CSC. - WARNING: Changing the CSC will Factory Reset your device (wipe all user data). - May need root access on the newer models. Also need Multi-CSC firmware. 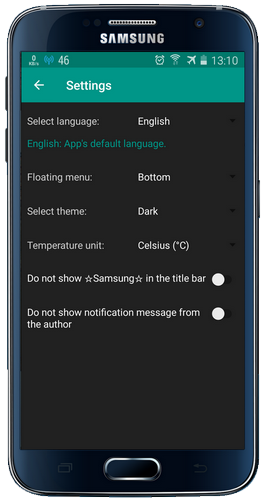 - Supports ALL Samsung models (formerly '[Note 3] Fake / Clone Detector'). You can search for the CSC code (e.g. XME or BTU), or the country/network name (e.g. Malaysia or Vodafone...). ★ 'S/N Decoder' - Obtain information about Country of Origin and Manufacturing Date from Samsung serial number. You can enter serial number from ANY Samsung phone (including OLD phone, FEATURE phone and NON-SMART phone). ★ 'IMEI Analyzer' - Check the IMEI for the validity by calculating the Check Digit (according to Luhn algorithm). Naposledy upravil(a) Henry1 dne 05. 03. 2018 16:28, celkem upraveno 1 x. - Added 'Secret Codes' menu: Lists all Samsung secret codes available in your device. 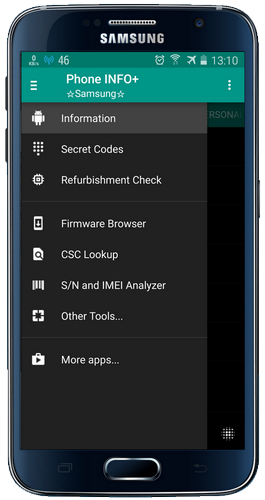 - Moved 'S/N Decoder', 'IMEI Analyzer' and 'CSC Changer' menu into 'Other Tools' menu. 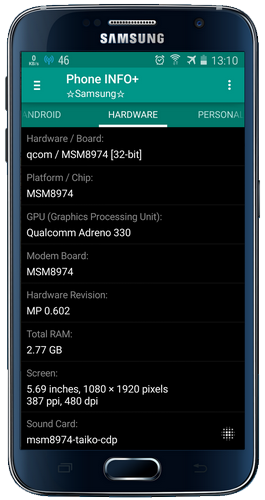 - Added support for dual SIM. - Added commercial model name. - Fixed screen size, screen resolution (on S8, Note8). - Fixed reading error on some info (that require root since Oreo). - Caught secret code "Launch 1" error. - Added 'Firmware Update History': tap on the 'Latest Firmware' item to see (in the FIRMWARE tab). Please note that this info is obtained from Samsung server and available for latest models only. - Fixed the issue with Firmware Browser menu. - Improved 'Battery Health' info (now available for Android Pie).